Just in case you missed the subtle hint dropped by Samsung in its ‘Note the Date’ press invite, or the confirmation given by one of its execs last week, the OEM is launching a new Android smartphone today called the Galaxy Note 3. The handset has a mammoth 5.7-inch Super AMOLED display, backed up by 3GB of RAM and either a 2.3GHz quad-core processor (LTE version) or 1.9 GHz eight-core processor (3G-only version). The larger form factor means Samsung’s also been able to pack in a 3,200mAh battery, a sizeable improvement over the 2600 mAh version found in the Galaxy S4. The so-called ‘phablet’ will be available with 32GB or 64GB of internal storage, although there’s also a micro SD card slot for up to 64 GB of extra space. For aspiring photographers, there’s a 13-megapixel rear-facing camera with Smart Stabilization and an LED Flash. It’s capable of spitting out 1080p (full HD) videos at 60 frames per second, and is joined by a 2-megapixel snapper on the front for video calls and those all important ‘selfies’. The Galaxy Note 3 runs on Android 4.3, the latest version (although ‘Kit Kat’ 4.4 was announced only yesterday), with Samsung’s Touchwiz skin slapped on top. It also comes with Samsung’s treasure trove of exclusive apps, including S Health, S Voice and S Translator. The hardware is a marginal upgrade over the Galaxy Note 2; the handset is just a fraction thinner (8.3mm) and lighter (168g) than its predecessor. Aside from the faux-leather back – available initially in classic white, jet black and blush pink – it looks pretty much identical too. The switchable covers are also in full effect. 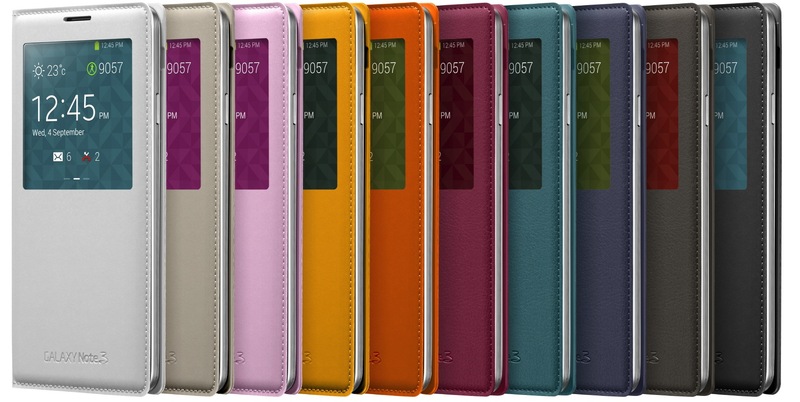 Nine different colors will be available at launch, including mint blue and oatmeal beige, as well as a new S View Cover for reviewing notifications and handling basic tasks. From a software standpoint, almost all of the Galaxy Note 3’s new features revolve around its updated S Pen stylus. A quick tap anywhere on the display brings up ‘Air Command’, a small radial menu that offers five quick access tools: Action Memos, Pen Window, S Finder, and Scrapbook. Action Memos are brief notes which the user can quickly create and take – you guessed it – further actions on their handset. After scribbling a friend’s mobile phone number, Action Memos can be used to immediately call that number or forward it on to a friend over email. Scrapbook is Samsung’s take on the Evernote Web clipper, storing content found through the browser, YouTube or their personal Gallery. Tapping any of these items will also send users back to the original source, be it a URL or image shot with the on-board camera. Screen Write captures a full-size image of whatever is currently being shown on the Galaxy Note 3’s display. Unlike the standard screenshot function in Android though, users can also write comments or draw over the top. Simple stuff, really. S Finder is an easy way to search for files and multimedia content buried within numerous folders or a discarded app, while Pen Window triggers a small space for an additional app and true on-screen multitasking. 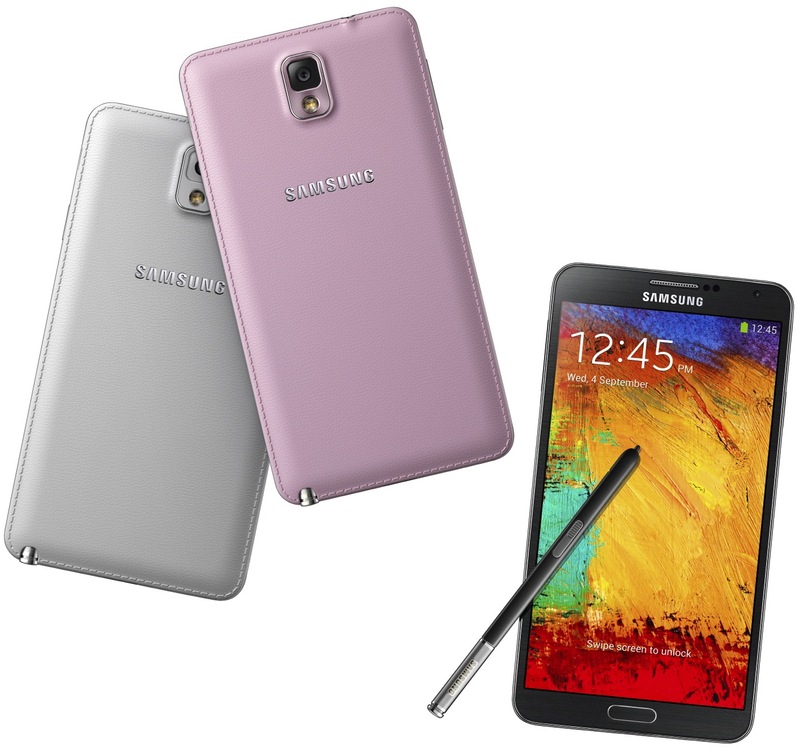 The Galaxy Note 3 appears to be a small refinement over the Galaxy Note 2. Given how popular that device was, it’s therefore not surprising to see Samsung stick to a proven formula. 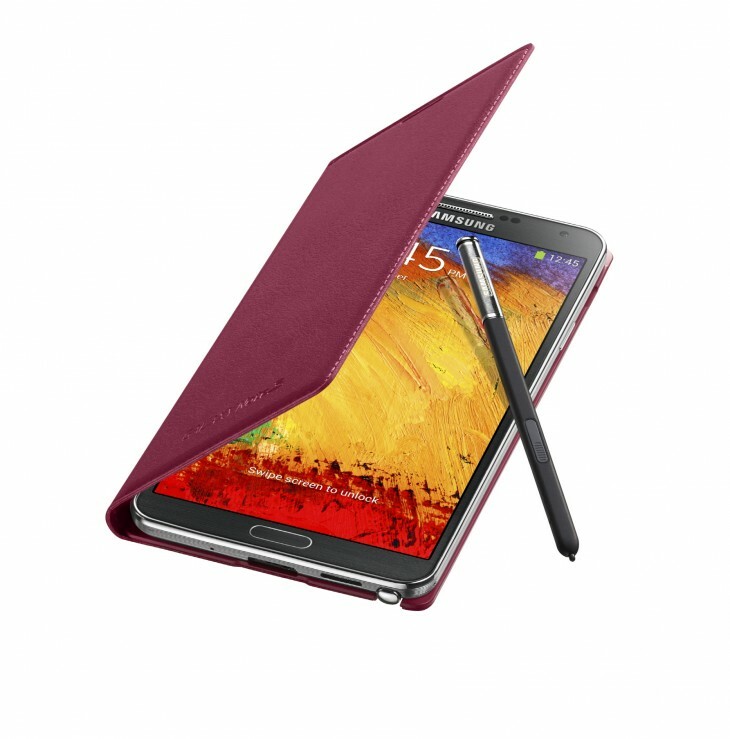 The hardware looks solid, the specs are competitive and the S Pen features should attract stylus fans. The handset will begin shipping on September 25 in more than 140 countries around the world, including AT&T, Sprint, T-Mobile and Verizon in the US later this year.